It's going to be smaller than I'd hoped for but there are a ton of things going on in our lives currently that include evicting tenants, moving to another state, registering our firstborn in school, and a collection of small annoyances that = out to huge time-eaters! Can't wait to get settled! I have a little surprise if you are one of my sweet blog-readers. There will be six spool dolls in the update (which is at 5pm Central) and if you see one that you absolutely love I'm allowing one "reserved" doll per person! Feel free to call dibs through comment or convo, I'm fair so I promise first commeth first getteth! 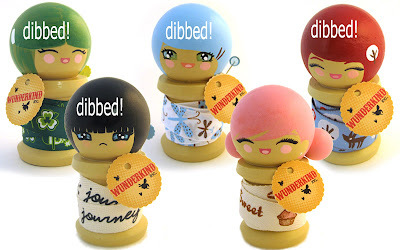 Here they are, the spool dolls for tomorrow! 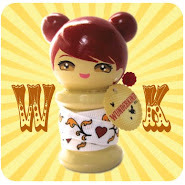 Rikuyo (with the pink hair) is the first doll sporting the low-side buns, and the Lucky Kokeshi is also the first to have a new hairstyle! There is one more spool doll for the update, Hitomi ....but with pigtails. 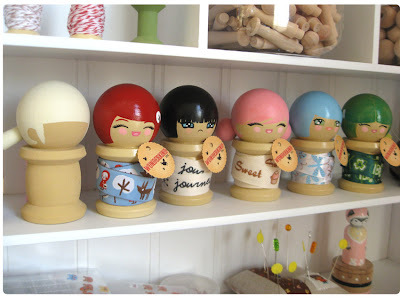 There will also be a Toothfairy box restock as promised as well as Twine Bakers including a new baker girl! Hope to see you at the update! Amaya (blue haired Kokeshi) is spoken for! Thanks Jen! Rikuyo is so darling! Love her!!! OOOooooo, can I call dibbs on the green one?????? Ack! She is so cute! I want dibs on the little one with black hair please!!! Hey Kathy! Little sad Yuki....yours! Their ALL sooo a-d-o-r-a-b-l-e! Is the pink one still available? they are all very very cute! 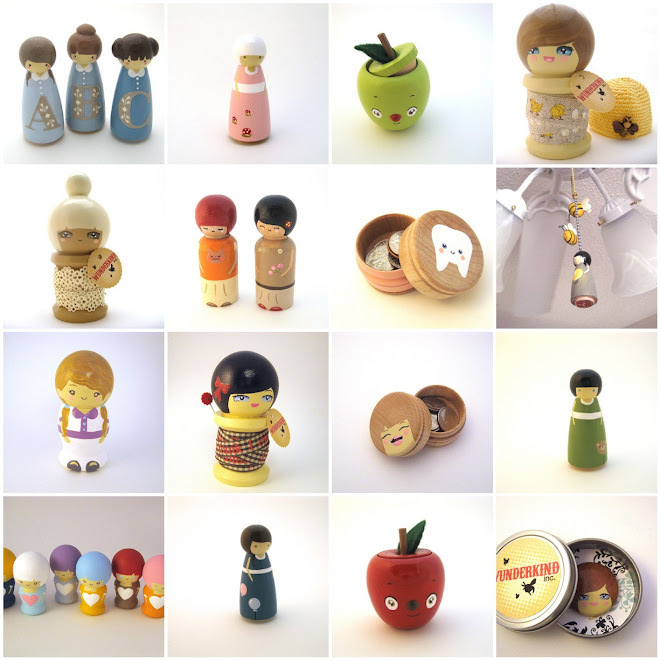 love your etsy shop! Thanks so much Cabin + Cub!! is Rikuyo taken? i simply adore her!! You've been on my mind all day! So I just wanted to pop over and say hello! send a hug and a few happy thoughts your way! I hope you have been finding life a bit less stressful and enjoying the beauty of spring! Hi, I hope you don't mind but I've tagged you in my blog!